Limited Edition in the Lithuanian Language. the "Don't have a PayPal account"
The new book, KOLUMBAS. 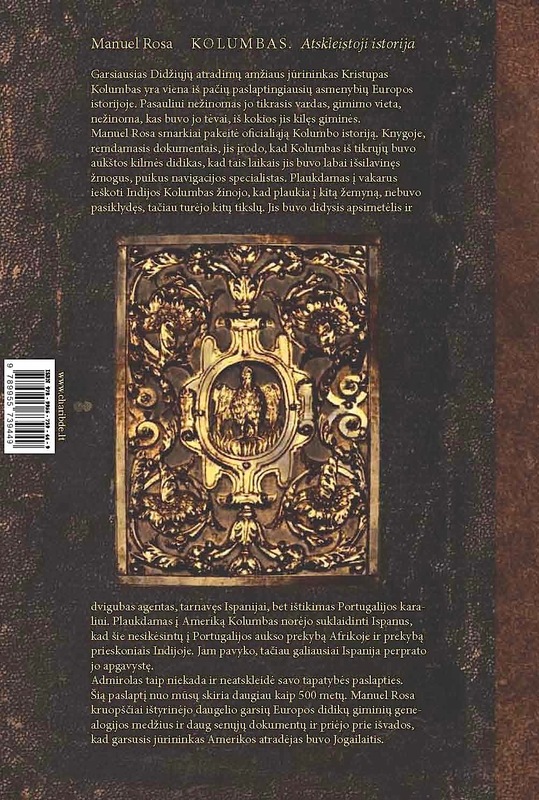 Atskleistoji istorija, will be published in Vilnius on February 21, 2014. I am making some books available for purchase on this page. Here you can purchase up to 2 books per physical address. (Please do not order more than 2 books so that others can also have a chance to order). Your order must be prepaid through PayPal by clicking the link below the image. The books can be signed if you wish. The Lithuanian edition is an updated edition. While KOLUMB. 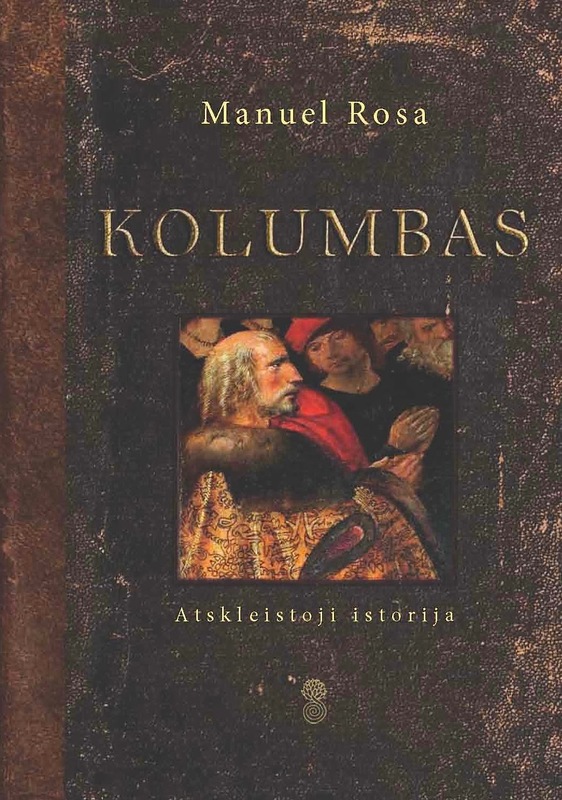 Historia nieznana was a translation of COLÓN: La historia nunca contada, published in 2010, KOLUMBAS. Atskleistoji istorija, contains new information gathered int the last four years, including exciting new evidence and even more proof that king Ladislaw III did not die in Varna in 1444. Shipping will be by Standard US Postal Service with Tracking. Once you place your order, I will be emailing you my contact information for any follow-up communication. As well as to get he name of who you want to book signed to or refunds. Once the books are sold-out, a notice will be placed here and the PayPal link will be removed. "... is a magnum opus and by no means should be considered a work of pseudo history or just another source of nutty conspiracy theories. Rosa's numerous reliable findings and solid theories would make Sherlock Holmes jealous. The History of Columbus has many mixed-up facts and personalities, and maybe the time has come for the discoverer's life to be finally rewritten." - Source Lithuanian Heritage Magazine, (January/February 2913) pg. 28. 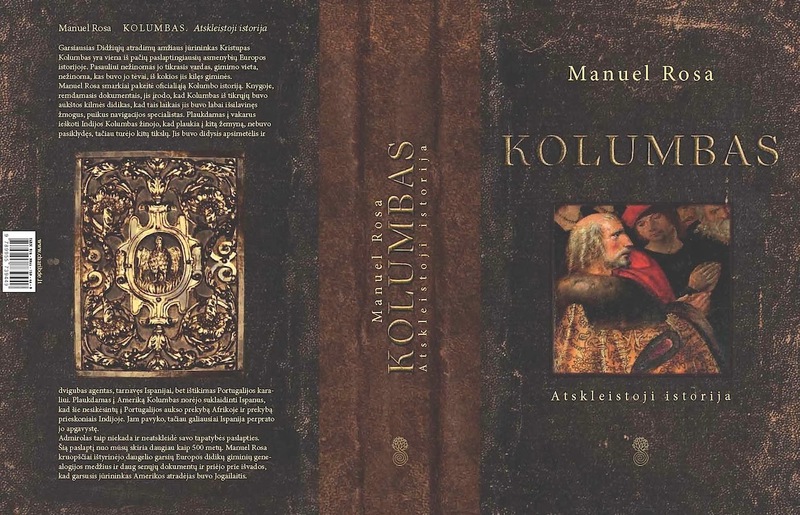 Neilgai trukus lietuvių skaitytojams pristatysime istoriko Manuelio Roso, Jungtinėse Valstijose gyvenančio portugalo, veikalą, kuriame pasakojama Kolumbo istorija. Kone visi didieji geografiniai atradimai Kolumbo laikais buvo vykdomi iš Portugalijos, tad čia taip pat išsamiai pateikiama anuometinės Europos istorija dėmesį koncentruojant į Portugaliją ir laivybą. Autorius yra aptikęs labia intriguojančių dokumentų apie Kolumbo kilmę, iš šios knygos sužinome sensacingą naujieną, kad Ameriką atradęs jūrininkas buvo ne paprasto audėjo iš Genujos sūnus, o buvo Jogailos vaikaitis, sūnus Jogailaičio Vladislovo III, kuris nežuvo mūšyje prie Varnos, kaip manoma, bet slapta apsigyveno Madeiros saloje Henriko Vokiečio vardu ir vedė Portugalijos bajoraitę.